Yesterday I noticed that the usual Malay stalls in the wet market selling more herbs than usual, they also selling those daun palas (palm leaves) and coconut leaves for ketupat. I just realized that Hari Raya Haji just around the corner as Malay need all these ingredients to cook Rendang and ketupat. I also take this opportunity to buy some fresh herbs to cook my favourite Ayam Rendang (Rendang chicken) and also learnt how to prepare ketupat daun palas ( palm leaves glutinous rice cake) from a Malay makcik (auntie). These herbs/ingredients are must have items in cooking a good Rendang..
After mix all blended ingredients and chicken, in cooking process.. The background are those ketupat palas parcels (palm leaves) that i bought from wet market and to fill the parcels with glutinous rice and cook it, this is best to serve with Rendang. 2. Heat oil in a heavy pan, add in blended paste, sauté till fragrant. 3. Add in chili paste, continue stir fry for 15mins. 4. Add in chicken, tamarind peel, turmeric leaf, kaffir lime leaf and bruised lemon grass, stir to mix well, cook for 5mins. 5. Add in water, continue to simmer for 20-25mins, stir from time to time. 6. Season with salt and sugar, mix in coconut milk, continue to cook for another 5mins. 7. Serve hot with rice or ketupat pulut palas (glutinous rice). WOW! What can I say?! 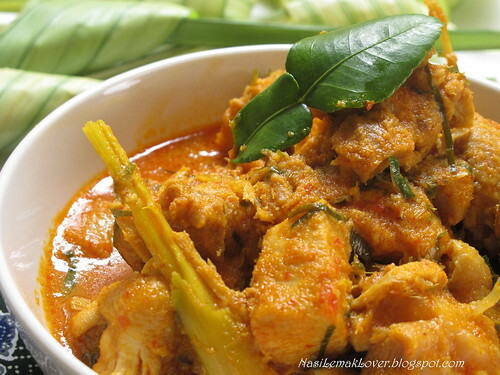 This curry rendang looks absolutely delicious! 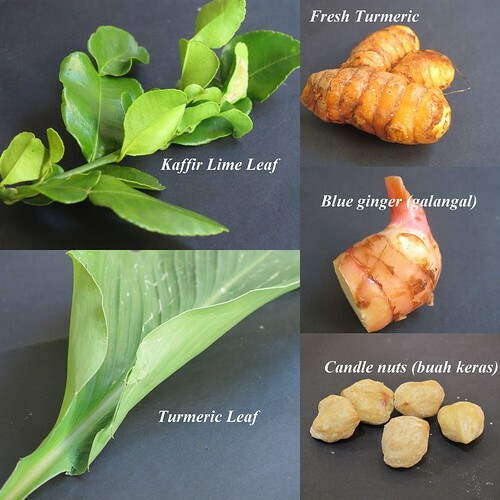 There is no doubt that using fresh malay herbs could really bring out the flavors. I'm so hungry looking at your curry rendang! Sonia, you also celebrating the Hari Raya Haji! 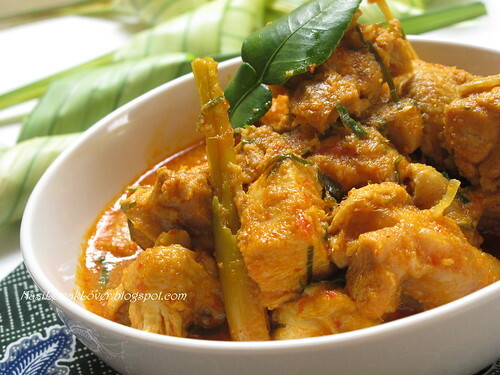 hehe... ^_^ Your rendang chicken looks very tempting. lol! Hope you're enjoying your day. 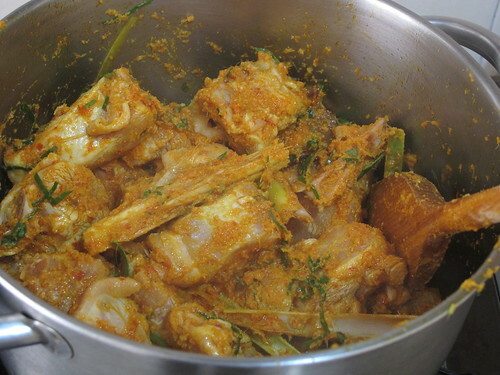 Selamat Hari Raya Haji my dear:D Your rendang chicken looks mouth watering yummilicious! The pictures are splendid as always! I love visiting your site! Added your blog in "My Favorite links":D Enjoy the holiday! Your rendang looks fabulous...I need more rice to go with that. I am so ready for a spicy dish like this! I have to try a rendang soon. Yours curry looks finger licking good. WOW!! drooling over here....it is always my favorite to go with nasi lemak!!! thanks for sharing this! usually the curry rendang that we eat is the dry version and i think yours look very appetising! Delicious! I like this kind of spicy dish, can I have a serving? Ohh thanks so much for showing us the pictures of all the spices! That is super helpful! I love Rendang, but since my nubby doesn't take beef, chicken rending is perfect!, thanks Sonia, have a good holiday too! I saw lots of lemang today, grilling by the roadsides. Wow, can't help salivating, Sonia. Can smell the rendang from my screen! Must be really fragrant! Turmeric leaf is something new to me. 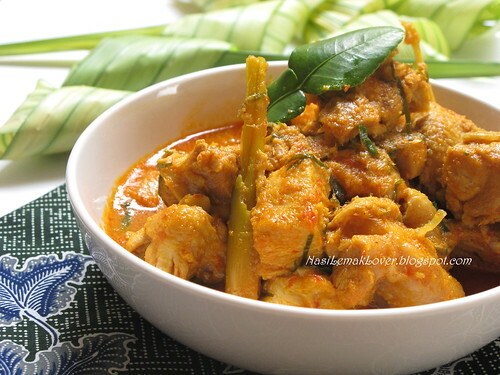 This Chicken Rendang looks soooooo delicious!!! I would kill for some of that right now, lol. Eh I thought I actually already commented on this post, because I've seen this yesterday! Looks like I must've forgotten to click submit or something, oh well! Looks so delicious! Love rendang with lemang, yum! looks yummy. Must be perfect to go with ketupat or may be nasi lemak right? Oh my tummy is rumbling just looking at those pics. I miss ketupat and rendang so much, waaa! 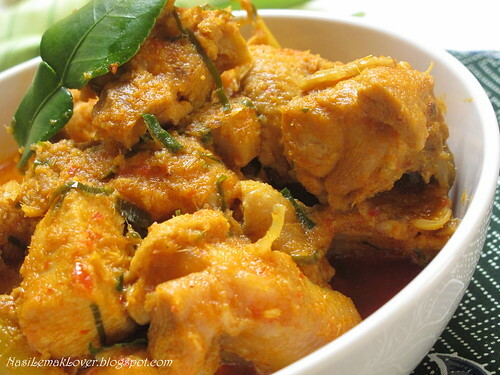 Thanks for the recipe, I usually make beef rendang, but must try this chicken version. Thanks for taking part in MM :) Love having your support. I can already see that this rendang is extremely yummy. It has all the fresh herbs in the bowl. 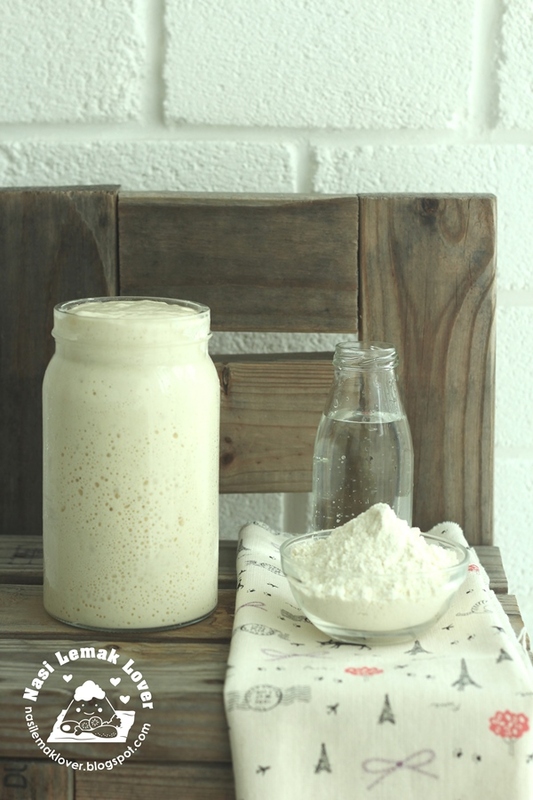 This will definitely go well with some ketupat or better still with lemang. Sonia, you're my sifu! I don't know how to make ketupat lar!! For my rendang, I prefer dry type with kerisik. Sedapnya! I like both rendang ayam and daging! Dear all, Thanks for stopping by and your nice words, appreciate much.